Where we heal hearts through horse interaction. We are excited to offer this innovative and interactive method of assisting others to find solutions to the issues in life that make them feel ‘stuck’, whether in their personal lives or in the work environment. We offer Equine Assisted Psychotherapy (EAP), Equine Assisted Learning (EAL) as well as work with corporate work groups or individuals. 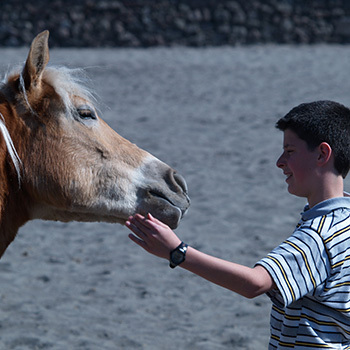 EAP is a therapy intervention using horses with individuals, families, couples and groups who are dealing with mental health/life issues (see EAP). 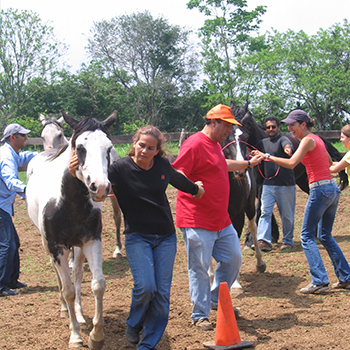 EAL uses horses to work with individuals or groups to promote learning healthy life skills, such as team building, problem solving, etc. EAL is NOT mental health therapy. This intervention can work well with school groups, foster children or any individual or group seeking self-improvement skills (see EAL). Corporate is using horses to work specifically with business/ professional groups or individuals who are looking to improve the functioning of their work group, improve leadership skills, conflict resolution, etc. (see Corporate). There is no riding involved and there is no need to be a horse savvy person – you don’t even have to have ever been near a horse before. This type of work with the client is done on the ground with the horses in the arena or pasture and our team. The team consists of a licensed Mental Health Professional, an Equine Specialist and, of course, the Horses. The Mental Health Professional and the Equine Specialist are certified through EAGALA. The EAGALA Model is the global standard for professionals (see About EAGALA ). By nature, horses’ emotions, reactions and actions are real - they don’t “pretend” to be happy, sad, mad, scared, etc. - they are genuine - what you see is what is happening at the moment in real time for them. Horses often “mirror” the behaviors or actions of the person who is with them. This allows the individual to experience firsthand how others may see them. 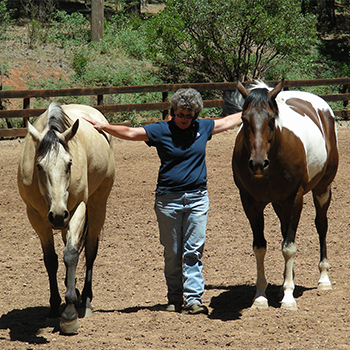 The individual may learn to modify their behavior to get a different response from the horse, and the client now has a new learned behavior (solution) he or she can take back to their personal or work environment.